It’s Power Tool Time again!!! 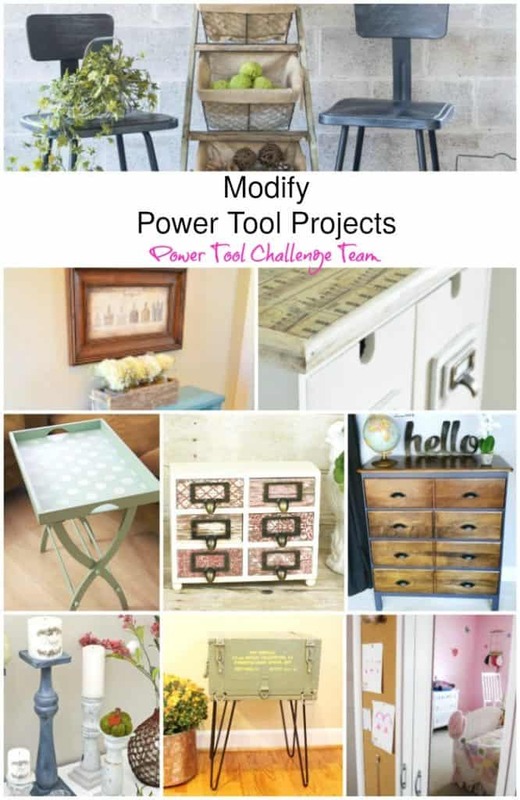 This month’s theme is one of my favorites… modifying something with power tools! 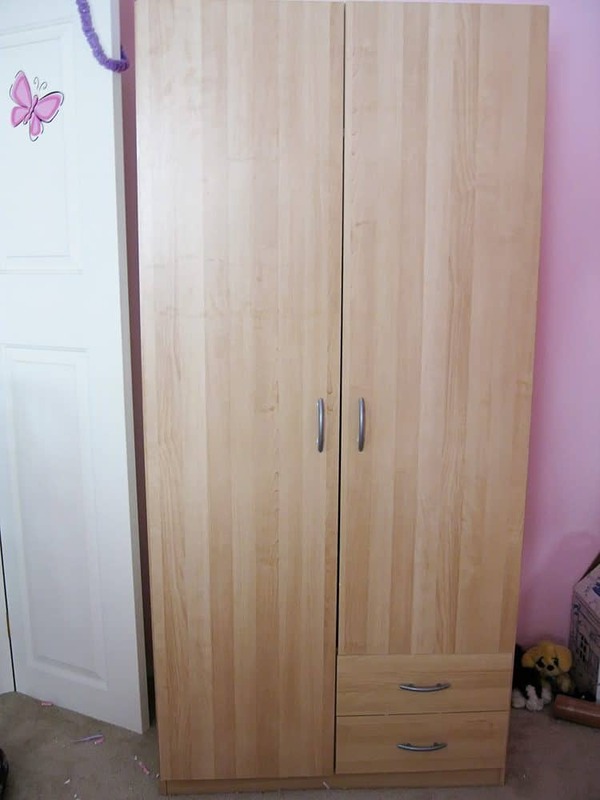 I love taking something basic and making it fantastic,, like this basic IKEA Wardrobe that I updated. Paint, molding and a few other supplies turned this wardrobe into a Pottery Barn inspired makeover. I started by painting the wardrobe with some crisp, white paint. It took 2 coats to give it the look I wanted. Then I attached the door mirror using liquid nails. The mirror already had trim around it so I left it alone. Then I decided on the size of cork I wanted to place on the left side. I trimmed it down and used liquid nails to adhere the cork onto the wardrobe door. Then I measured and cut down the molding to fit around the cork. I’ll want to use a miter saw or a miter box to get those angled cuts. Such a BIG difference! She had fun decorating her cork board. Now here’s some other amazing Power Tool projects from the team! Your wardrobe looks much prettier now. I guess you and your daughter had a happy time together. Thanks for another great post! Maryann, This turned out great! I love the addition of the cork and mirror on the doors! Very creative! Great job! Looks very cute now. Love the new look, so perfect for a girls room! My daughter would love to have a cork board like that to hang up all of her art projects. How cute is this! Love the wardrobe makeover, and I bet your daughter loves it more. 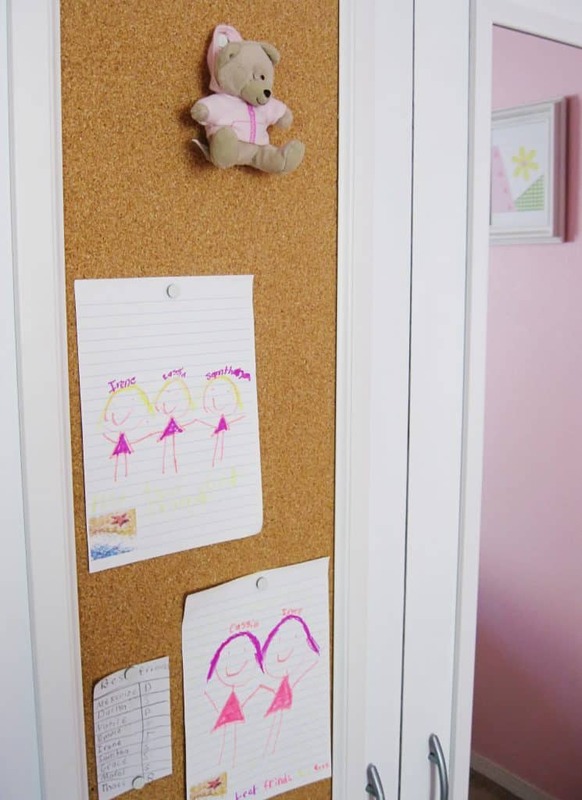 What great ideas adding the mirror and cork board. I bet you are thrilled on the amount of money you saved. Great DIY Maryann! 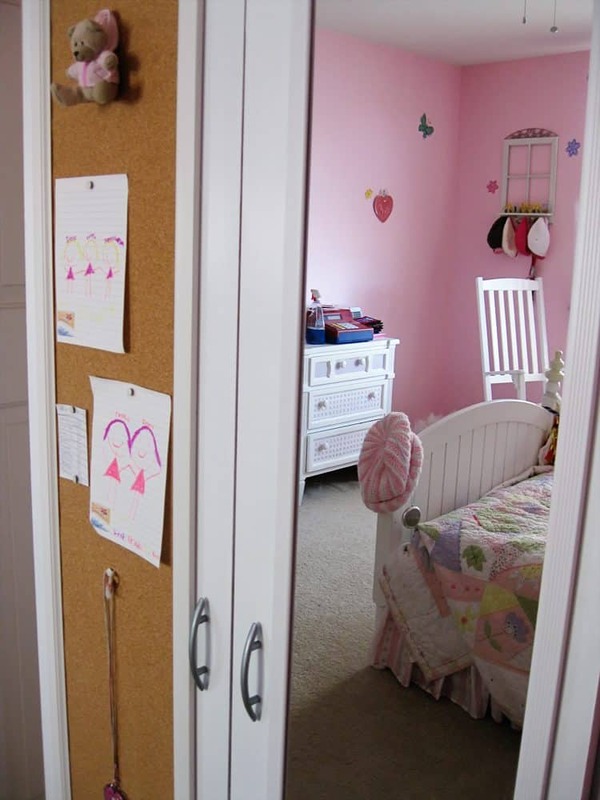 It’s more attractive and more functional with the addition of the corkboard and mirror. I know your daughter loves this in her room. What a difference, Maryann – so pretty and functional! Love how you were able to get the Pottery Barn look for a fraction of the cost. No wonder your daughter loves it! It’s gorgeous, great job mom! I love how you modified this ikea wardrobe Marianne. Beautiful changes! I love it!! This is such a smart makeover! Perfect for a kids room. Attaching a mirror and the cork board was so smart! Love that you modified a piece and saved big $$ over Pottery Barn Kids:) Pinned!